Oh what a day Sunday was. The 2nd official Half Marathon race in 1 month and everything went perfectly. I completed the run in 1:56 mins and didn’t do any damage to my leg muscles and I got to meet Richard Whitehead again (double gold paralympic medalist & double world record holder) in the VIP tent after the race - my brother in law runs the agency behind the sponsorship management for the race so we get invited along as guest - really cool and free burgers after the race! I ran this with my wife Rach and she also got a personal best. After the race we found out we had new baby in the family too so everyone was celebrating. 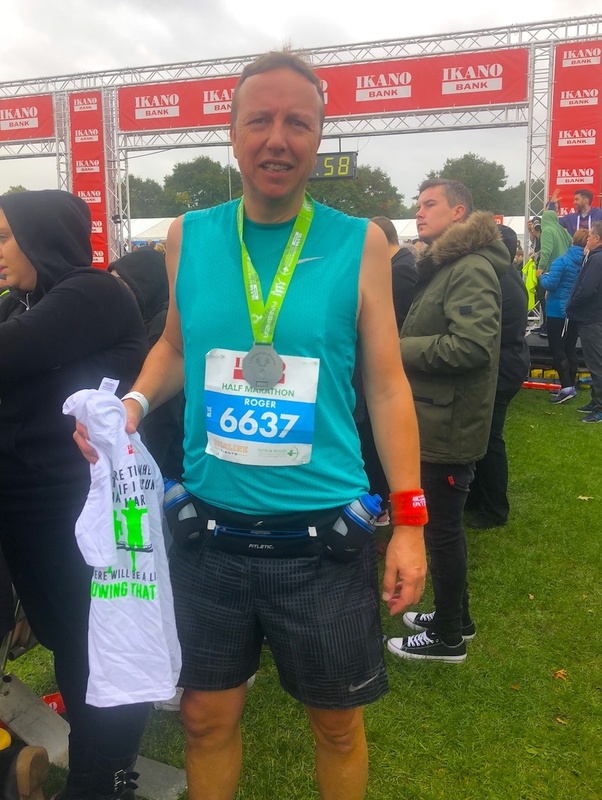 So now all that’s left is normal training, called tapering, where the runs get slightly less as we approach the marathon race day in Dublin on October 28th. I feel ready. I feel fit. After completing 2 Half Marathons in such good times both under 2 hours and now no injuries I feel that everything is looking good and I might even get close to a 4 hour marathon. So the race organisers invite contestants to pick a charity to raise money for and I picked this right at the time of entry last November. I will be raising money for the Irish Child Line called the Irish Society for Prevention of Cruelty to Children or ISPCC and the link to support me through this is below the pics here. Quick chat with a very busy Richard Whitehead. The face of a happy racer! Having a laugh before the race.